Aaron Neville’s new CD tribute to doo-wop rock and roll has hit the top of Amazon.com’s sales charts for Pop and R&B after just 4 days. Release on January 22, 2013, the album achieved instant popularity with music buyers, which is pretty amazing for a 72-year-old singer with songs that are 60 years old. “I know it’s only January but “My True Story” is my pick for romantic CD of the year,” I said in my review Aaron Neville – My True Story is all comfort and joy. While he fits these songs like an old glove, the 72-year-old Neville adds something magical and special with the smooth singing and perfect arrangements. His birthday was January 24th. In Canada, Amazon.ca lists “My True Story” at #3 in R&B and #19 in Pop. In the UK, the CD is #12 in Pop/R&B. The album is charting at #28 on iTunes which is amazing since iTunes appeals to a younger audience. 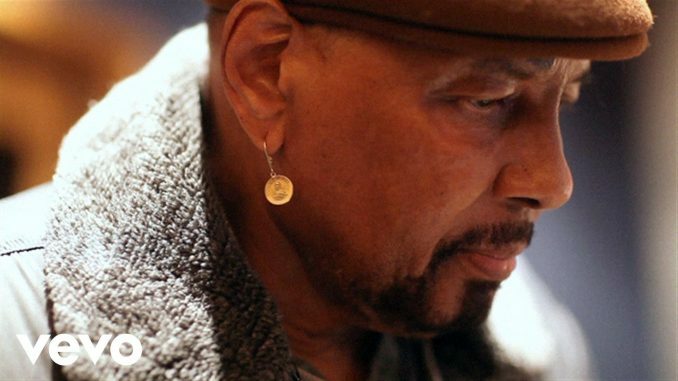 “My True Story” represents a culmination of Aaron Neville’s incredible career, which has seen him move seamlessly back and forth between solo work and his role in the first family of New Orleans music, the Neville Brothers. His first hit single was the landmark “Tell It Like It Is,” which held the Number One spot on the R&B charts for five weeks in 1967. He left the music business for almost two decades to raise a family while working as a stevedore. He went on to win Grammy Awards for his triple-platinum 1989 collaboration with Linda Ronstadt “Cry Like a Rainstorm, Howl Like the Wind,” and reached the Country charts with the title track of 1993’s The Grand Tour. A member of the Louisiana Music Hall of Fame, his most recent project was the gospel album I Know I’ve Been Changed in 2010. When Don Was and Neville discussed possible projects, the singer indicated that recording an album of doo-wop songs had long been a dream of his. He adds, though, that his recent relocation to New York City after losing his home to Hurricane Katrina, and his recent marriage, gives “My True Story” additional significance. Aaron’s first wife, Joel Neville, died of cancer in 2007. They had been married 5 days short of 48 years. With “My True Story”, one of the world’s finest singers is revisiting the music he grew up with, and adding a few new spins along the way. Neville’s first release for Blue Note Records is a collection of twelve classic doo-wop numbers, performed in his inimitable vocal style, and co-produced by Blue Note President Don Was and Keith Richards. The selections on the album include classics by such vocal-group giants as Little Anthony and the Imperials (“Tears on My Pillow”), Hank Ballard and the Midnighters (“Work With Me, Annie”), and the Drifters (“Money Honey,” “Under the Boardwalk,” “This Magic Moment”). To Neville, though, these songs weren’t just the soundtrack to his youth; they became the underpinning for all the remarkable music he has created across five decades. The recordings on “My True Story” aren’t simply imitations of the original sessions. For one thing, some of the songs included—like the Ronettes’ “Be My Baby” or “Gypsy Woman” by the Impressions—come from a slightly later time period than the classic doo-wop era, and aren’t usually classified as part of the genre. But Neville explains that for him, it’s not the calendar that matters, it’s the vocal approach. The other twist given to this material is that while doo-wop tended to keep the emphasis squarely on the vocalists, “My True Story” sees Neville backed by a top-flight rock & roll band, led by the guitar work of Richards himself. The other musicians include Greg Leisz on guitar (Beck, Sheryl Crow), Benmont Tench on organ (founding member of Tom Petty and the Heartbreakers), George G. Receli on drums (Bob Dylan), and Tony Scherr on bass (Bill Frisell, Norah Jones). As if these ingredients weren’t enough, several singers from the glory days of doo-wop joined the sessions to sing backing vocals on a number of the songs, including Eugene Pitt of the Jive Five (who co-wrote the album’s title song), Bobby Jay of the Teenagers, and Dickie Harmon from the Del-Vikings. Neville’s touring bass player, David Johnson, drummer, Earl Smith, Jr. and Joel Katz also lend their voices to some of the arrangements. Notes and biography supplied by EMI Music. Video courtesy of Blue Note.